Improved!!! 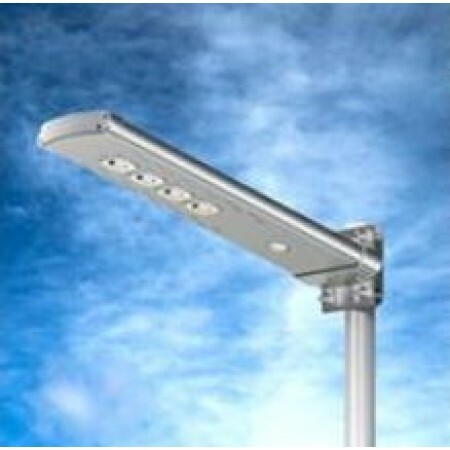 This high-power LED solar street/area light automatically turns on at dusk and off at dawn. 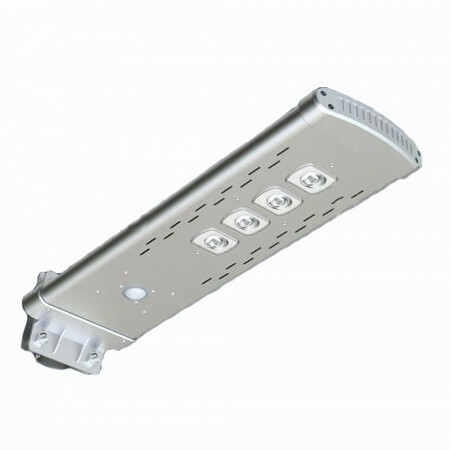 Replaces our previous model SSL-20 with 50% more lumens and remote for selecting Lighting Program! 1) Constant brightness at 10% and full brightness for 30 seconds when motion detected and while motion is detected. 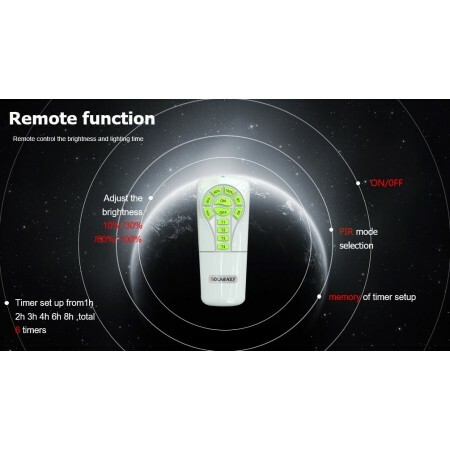 2) Dim brightness at 30% and full brightness for 30 seconds when motion detected and while motion is detected. 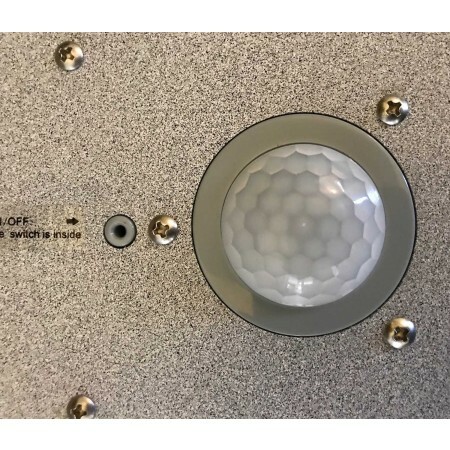 Lighting modes can easily be changed by pressing the button on the underside of the light next to the photo IR sensor. A long press turns the light on or off. Short presses toggle between both lighting modes. Red LED indicates 10% mode and green indicator indicates 30% mode. 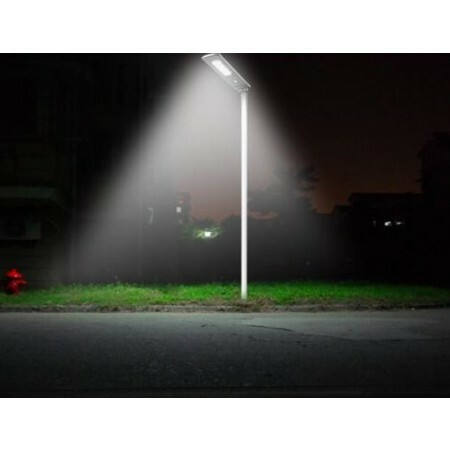 Light turns on automatically at dusk and off at dawn. 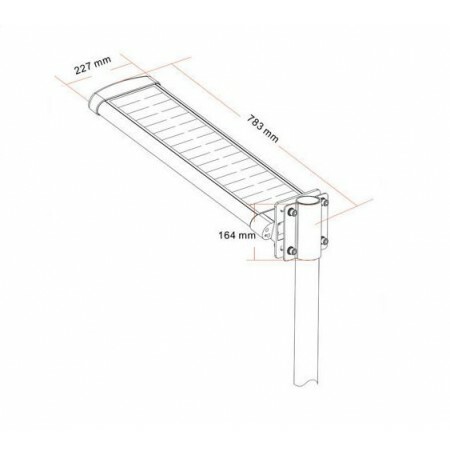 All-In-One design integrates solar module into light fixture. 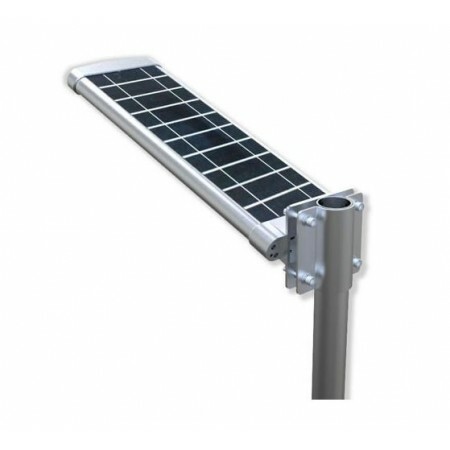 Mount fixture so that solar module faces toward sun (due south in the US) for optimum charging. Fully charged with 9-10 hours of direct sunlight. Charge will last for up to 3 cloudy days of operation (30 hours). Aluminum alloy construction resists rust and corrosion. 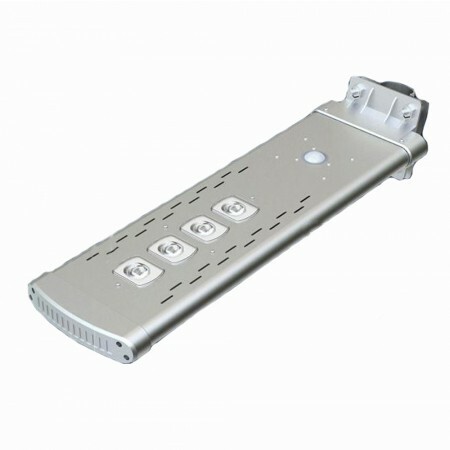 IP65 outdoor rated protection. 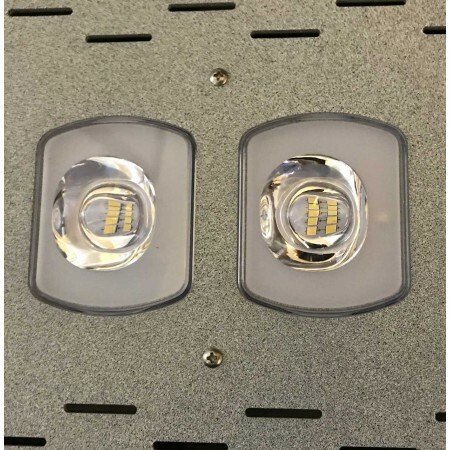 Luminous Flux............ 3,000 lumens max.